Online Application Details for Rail India Technical and Economic Service Limited RITES Recruitment of Site Engineers is given below. Application form and duly attested documents are to be sent to Sh. 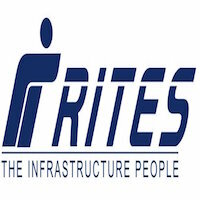 Amitabh Khare, JGM/Civil/UT D-504, Titanium Squre S.G. Highway, Ahmedabad-38005 or email to amitabhkhare@rites.com. In envelope super scribed with 'Application for the Post of Post Name'.